We are all touched by death, we are all touched by the beauty of life, and we are all touched by everything that falls in between. Each of us has a choice to make: VICTOR or VICTIM. Amidst a mad scramble of running around trying to make ends meet, I was tired, stressed, losing options, and at the point of adopting a “woe is me” mindset… one that leads to resigned thoughts of how unfair this or that is, one that doesn’t give much room to see the path to better… I went to yoga class, and as everyone was settling in, one classmate asked another what he was up to. “You know, still hustling.” Hustling! That sounds so much better than the other phases I would hear from people around me (“I’m a working stiff,” “Slave to the grind,” “Run ragged,” and so forth.) For me, the word “hustling” carried a bit of excitement and adventure to it, with a dash of hope, and a sprinkle of impending triumph. Since then, I have been hustling. This one comes from Transformation Academy. Instead of thinking “I have to X” try thinking “I get to X.” Note that this is not about false gratitude. It’s a shift in thoughts and words. In trying this one on, I found that it also made things more fun for me. And the beauty is that, by using “I get to” in front of things I was already excited to do, it helped me relish and appreciate those things more. One example Natalie (co-founder of Transformation Academy) gave was “I get to pay my bills.” She pointed out, that this is actually a pretty good thing when you think about it. And quite a few times in life, I “got to” pay my bills by writing myself one of those blank checks from a credit card company. But guess what? I still got to pay my bills. 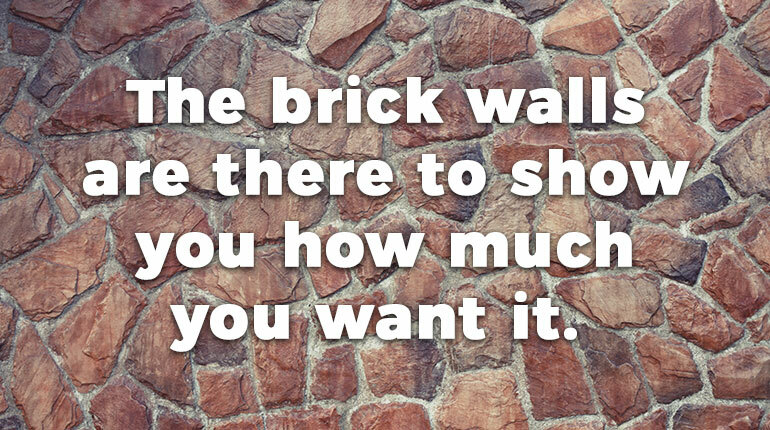 In The Secret to Success, Eric Thomas says “When you want to succeed as bad as you want to breathe, then you’ll be successful.” When you come to walls along this As-Bad-As-I-Want-Yo-Breathe Path, that’s where you get to unleash your ever-hustling victor best moves and make that obstacle your way. My niece Zoey’s catchy catch phrase is “The adventure continues.” When Jade was leaving me for a Semester at Sea, I was also downgrading my apartment to a 1 bedroom at another apartment complex. The uncertainty that came with all this change tried to tug me into a black hole of fear, but I heard a voice in my head say “The adventure continues.” This has been a wonderful shift for me, and works well with Shift 2, hustling. For me, the spotlight is on my nose. I hate it. I look at my funny-enough-looking face and just see NOSE. But when I step back to think about other people’s noses, I can’t picture them. So maybe when I look in the mirror I need to move the spotlight to my eyes (which I like), or just turn the whole spotlight off and view myself through the most important eyes of all (the canine ones). 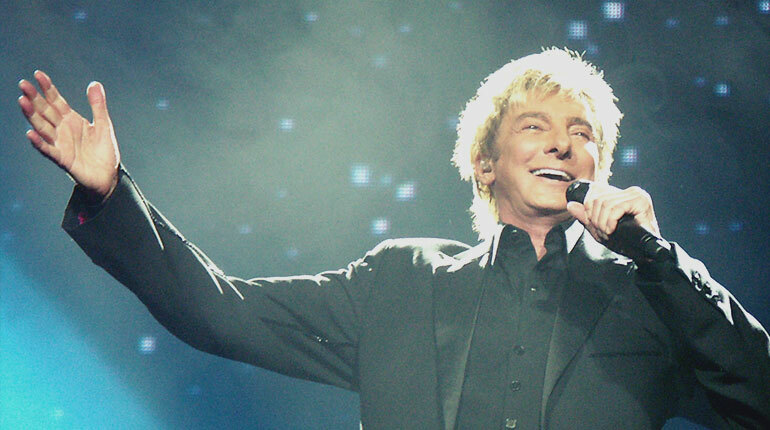 There was a study that had students wear an “embarrassing” Barry Manilow tee-shirt. When asked, the students thought that 50% of the people in a large lecture room would notice the tee, but in reality only about 25% did. People aren’t paying as much attention to our spotlights as we think. Read more about the spotlight effect here. And if you are hurting yourself by shining a spotlight on yourself, turn that darned thing off. This one is less about positive vs. negative, and more about the amount of authentic positive emotions you have vs. the negative ones. In her book Positivity, Dr. Barbara Fredrickson lists 10 forms of positivity: joy, gratitude, serenity, interest, hope, pride, amusement, inspiration, awe, and love. Positivity is not “Oh, my car engine is on fire, I’m so grateful that I can warm my hands.” Positivity, is feeling the genuine and authentic emotions listed above, at appropriate times. In fact, one study Dr. Fredrickson cites showed that insincere smiles fared just as well as anger in predicting cardiac events. Don’t fake it. Find it. There are a handful of books I consider must-reads for those of us who are striving for better and betterer, and Positivity is one of them. This book is more than a what and how-to guide on positivity, it also has hundreds and hundreds of scientific studies backing up the benefits of positivity. Negativity and neutrality holds us back. With negativity, the blinders come on, your mindset narrows, behaviors are rigid and painfully predictable. Positivity opens you up — the brain is in an expansive mindset. This opens your mind and heart, makes you more creative, more receptive, stronger, wiser, more resilient and more socially integrated. You have better ideas. The biochemical stew within your body has all the good ingredients. You radiate. Your warmth is palatable. If you can spend most of your time in this mindset, the science shows you can live up to 10 years longer. Head to wherever it is you buy books and tell them “SHUT UP AND TAKE MY MONEY” and buy this book. Also head to PositivityRatio.com and find out your ratio. The goal (and don’t worry, you can work to change your ratio if you don’t like it) is to have a positive:negative ratio of 3:1 or higher (though not as high as 11:1). Another book that falls into the “SHUT UP AND TAKE MY MONEY” category is Michael Neill’s Super Coach. One of his tips is to speak of what you want instead of complaining about what you don’t like. He also suggests the idea of taking 7 Day Complaint Fast. This addresses spoken complaints. If you complain, your 7 days starts over. I honestly have not been able to successfully complete a complaint fast… YET. I was torn between Mindful vs. Mindless and this “You got this girl!” story. Some of the above shifts would deserve their own post, and we’ve already posted at length on mindfulness, so (at risk of this getting lost in translation), I decided to go with a story near and dear to my heart… the “You got this girl!” story. Recent studies have shown that talking to yourself in the third person can help you reduce stress. Talking to yourself in the third person can also help you, apparently, make it to work and wow everyone even though your body was telling you otherwise. One of my favorite people ever, let’s call her B, attended a Thursday night business bash. Her company tends to have lots of alcohol at their events, and this was a landmark event. Lots. Of. Beer. In the face of beer, her established strategy for pacing herself was not an option (mixing wine with diet Sprite), so much like Liz Lemon on 30 Rock, she got “business drunk.” And also much like Liz Lemon on 30 Rock, she found herself “business sick” the next day. Forcing herself to show up and shine, she had a third person conversation with herself, and we’ll call that “person” C, for cheerleader, because of her keen pep talk abilities and animated enthusiasm. B: (dragging, lifeless) I’m so sick, I can’t go on. C: (with peppy arms, elbows rising and falling enthusiastically) You got this girl. Keep going. You got this. While walking, B projectile vomits 12 feet forward. A: (walking on) Yep, just the typical Friday morning walk to work. C: (peppy arms continue) That’s right, you go girl. You got this. Got it all out of your system! B: NoOoooO. I still feel sick. C: (peppy arms continue) You got this. Keep going. You got this girl. B projectile vomits 12 feet forward. C: (peppy arms continue) Okay, okay, you got this. 7-11 is right there. Let’s get some hydrating drinks. That’s fix you right up. You got this girl! The two exit 7-11 with their purchase. C: Coconut water, Gatorade, drink up you got this. B drinks. A proceeds to projectile vomit 12 feet forward. C: (peppy arms continue) No, no, no. You’ve got this girl. It’s all out of your system now. Keep going. The two walk on to B’s work. B proceeds to vomit one final time as she approaches her building. She heads in, puts in her best effort, and gets complimented by her bosses for not being hungover after last night’s festivities. When I heard this story, I hurt myself laughing. Moreover, Jade pointed out that the firehouse and 7-11 are only 1 block apart. I can just picture, C, like the angel on a shoulder, with peppy, marching drummer-like arms saying “You got this girl, you got this.” So I borrow her from time to time… and she tells me “You got this girl!” I love her. Not looking for a peppy cheerleader? I met a guy who adopted a line from Dumb and Dumber who would either use the direct quote from the movie: “We’re really doing it Harry!” or an altered version “We’re really doing it Kevin!” as his inner 3rd-person voice. My vote is: the more ridiculous the character, the better!